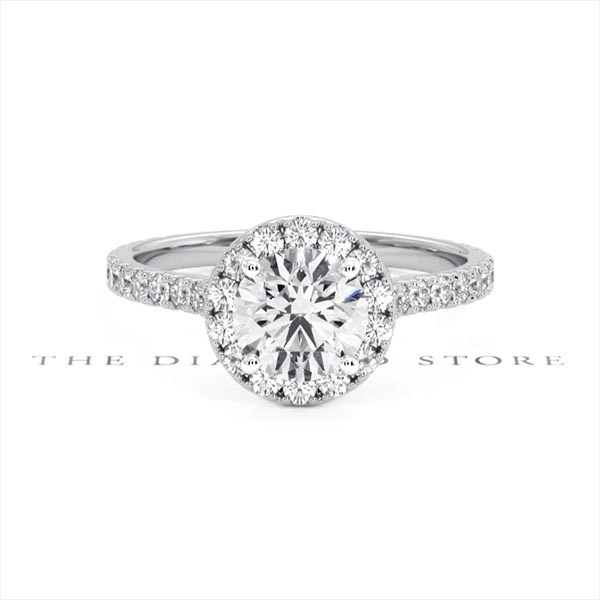 This magnificent halo diamond ring showcases a superb round cut solitaire certified by GIA. A beautiful diamond-embellished band holds the centre setting securely. Handcrafted in heirloom platinum that offers a luxurious look and feel upon the hand.